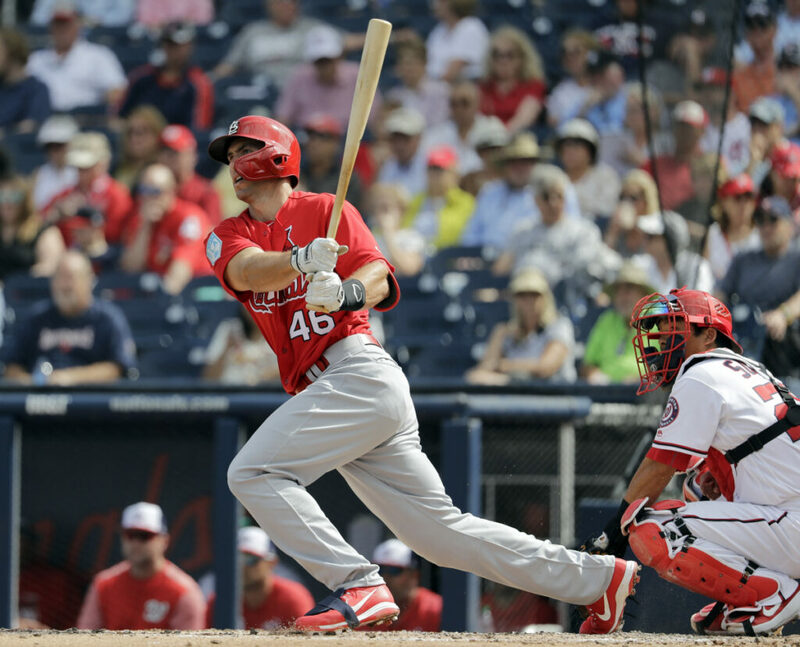 Paul Goldschmidt and the Cardinals are close to finishing up a five-year contract extension worth $130 million. Goldschmidt still must pass a physical, which is mostly a formality. Goldschmidt has been an All-Star each of the past six seasons, and he rebounded from a slow start with the Diamondbacks last year to hit .290 with 33 homers and 83 RBI. He also plays so solidly at first base, winning three Gold Gloves, that three-time All-Star Matt Carpenter agreed to move to third to clear the way for him. • Matt Wieters was added to the Cardinals’ roster after earning the backup job behind catcher Yadier Molina. ATHLETICS: First baseman Matt Olson underwent surgery on his right hand after getting injured on a foul tip in his final at-bat during Thursday’s 5-4, 12-inning loss to the Mariners in Tokyo. ANGELS: Mike Trout wrapped up an eventful spring in Arizona with his third home run, and first since signing his record new deal. Trout received a 12-year, $426.5 million contract Wednesday, and in two games since, he’s 2 for 7, hitting an RBI single Thursday and the three-run homer Friday as the Angels hosted the White Sox. In 14 games in Arizona, he batted .293. YANKEES: First baseman Greg Bird is scheduled to play Saturday, three days after getting hit on the right elbow by a pitch from Houston’s Wade Miley. • Outfielder Clint Frazier was optioned to Triple-A Scranton/Wilkes-Barre. He was limited to 15 major league games last season due to a concussion. Manager Aaron Boone has said Frazier needs to get at-bats and opportunities with the Yankees at the start of the season would be limited. REDS: All-Star second baseman Scooter Gennett injured a leg while fielding a grounder against Milwaukee and was helped off the field. Gennett was to have an MRI.